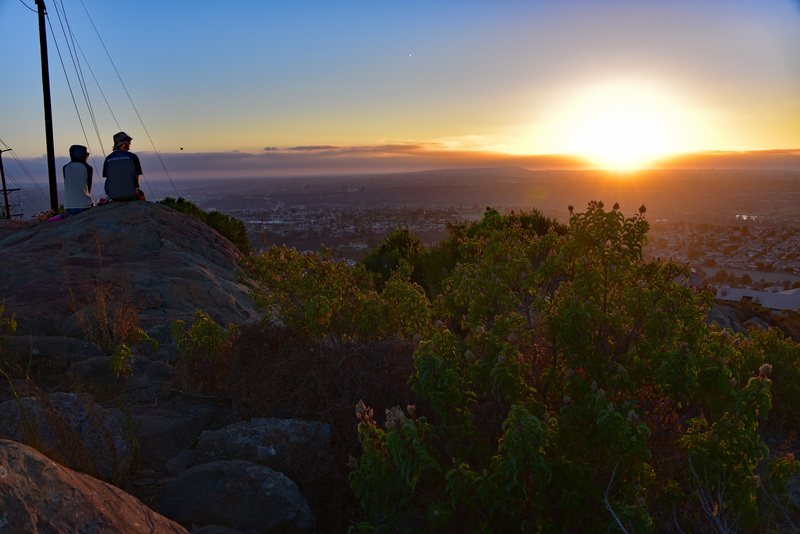 San Diego sunset seen from Pasatiempo Open Space in Del Cerro. This entry was posted on August 15, 2016 at 10:36 am	and is filed under San Diego Places & Things. Tagged: Del Cerro, Pasatiempo open space. You can follow any responses to this entry through the RSS 2.0 feed. You can leave a response, or trackback from your own site. its lovely. We are still fighting for our little bit of heaven in Huntington Beach. Trying to keep our shoreline free from the ocean desalination plant, that we don’t need. Coastal Commission hearing in Sept. Newport Beach.